Step 1: First collect the color paper as the size we mention in video. Step 2: Then fold the paper with a stick. For making the flower stick. See the video how we do it. Step 3: Then we cutting the flower leaf carefully like a leaf shape. You can watch the video as well. Step 4: Now cutting making the flower. We show you how to do that. Easily with video. Watch the video. Step 5: Now attach the stick with the flower using glue. We do that. Then attach the leaf with the stick using glue. Video has details. Now everything is complete. You have the flower in your hand, what we try to learn you by our video tutorial. Please Watch 📺 Below We Have Some Tutorial For Your Valentine This Year. 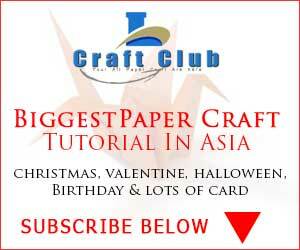 We trying to teach you how make valentine card at home. We have some New Year Card too, for your watch in collection. Some More Keywords: how to make daisy flower with paper, how to make daisy flowers with icing, how to make daisy flower with crepe paper, paper flowers, diy, how to, paper flower making, paper flower making videos, diy paper flower, diy paper flowers, diy paper flowers easy, diy paper flower backdrop, diy paper flower wall, how to make a paper flower, how to make a paper flower easy, how to make a paper flower easy step by step.